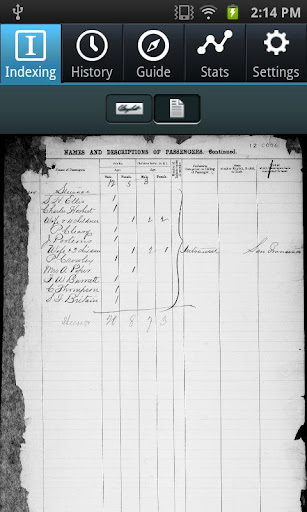 During the recent RootsTech conference FamilySearch announced a great new mobile app. It’s available for Apple iOS (iPhone, iPod, iPad) and Android (currently in beta) devices. It’s very much like the desktop app, except that the source material is shown in very small peices (eg. 1 name). Now you can advance family history while you’re sitting in the dentist’s, or Bishop’s, waiting room. Hundreds of thousands of volunteers from around the world have contributed their time to index genealogical records using the FamilySearch indexing desktop software. 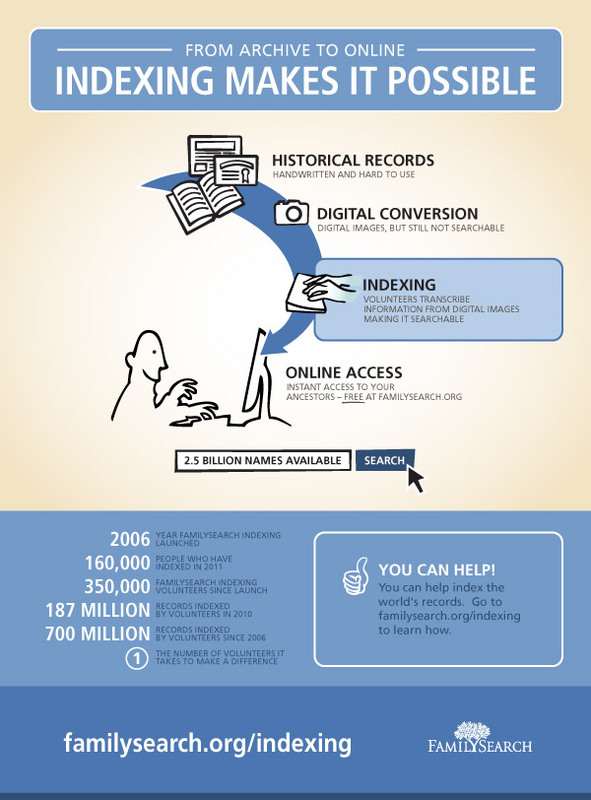 Today there are more than 2.5 billion freely searchable names in the familysearch.org database, thanks largely to their efforts. Your mobile contribution to this effort, however large or small, is greatly appreciated. To ensure quality and accuracy, the system compares your work with answers from other volunteers until a “consensus” is reached. Like many mobile apps, it just takes what you’d do on a computer, and simplifies it. So instead of seeing an entire census page, it just shows you a small piece (in my case, just names). All you have to do is enter the name you see then tap “Submit.” That’s it. You can see the whole page, if context is helpful in determining letters. You can also put a question mark “?” in place of a letter you can’t discern, or an asterisk “*” in place of several letters that are unreadable to you. Or you can skip it altogether. You will need a FamilySearch account, but I believe your LDS Account will work. If it doesn’t, just visit new.FamilySearch.org and login with your LDS Account. 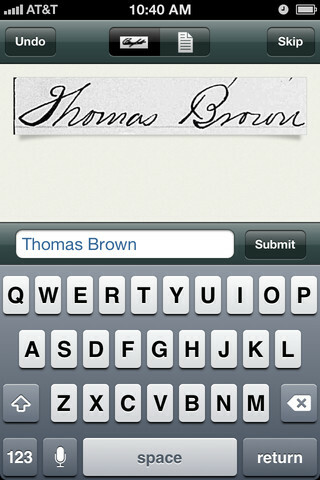 It will then also become a FamilySearch account and work with the app. The app also has a short guide to help you out, a history of your work, and stats to tell you how much you’ve contributed. You can also set things like your preferred difficulty (new indexers should stick with easy), and how many entries the app should store on your smartphone so you can work offline. Get the Apple iOS app here, and the Android version here. The one thing that excites me most about Apple’s iPhone 8 . . .
LDSAccount and FamilySearch account are the same. The only difference being the FS account does not have a membership number attached to it. Dang. I wish this app could work on a blackberry. It looks awesome. I can’t find it on the Google Play (Android) store either, Kelsee. Bummer!